When it comes to eating simple, aside from stir frys and fried rice, curries are next on my list. I know there are people who are discouraged at the thought of making curries; a long list of unheard of ingredients and the kitchen/house smelling like an Indian restaurant. But on a positive note, I find curries are quite cheap to make and you can “curry” almost anything (pardon my questionable use of English). For instance, you can “curry” canned beans, legumes (case in point here), frozen peas, mushrooms, potatoes, meat and of course seafood. I have been in the curry phase lately mainly because I’m craving for the warmth of tropical weather. When I locked eyes with a pile of fresh prawns at my local grocer, I knew I have to seize the opportunity as fresh prawns are hard to come by when you are living inland. 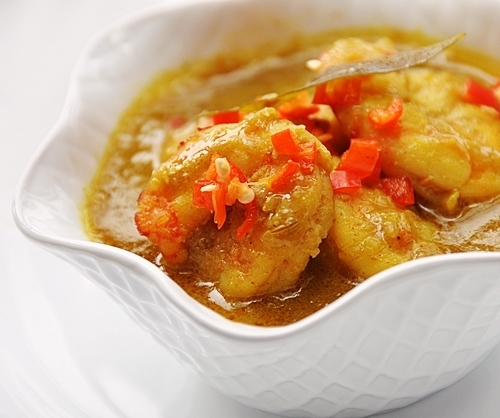 Since having prawn cocktail or prawn salad wouldn’t be winter appropriate, it is more than just appropriate to turn them into coconut prawn curry. 1. Using a mortar and pestle, pound ingredients B into a fine paste. If you don’t have a mortar and pestle, you can finely chopped them instead. 2. 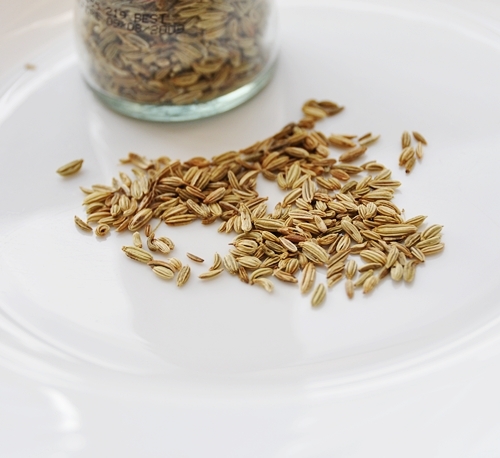 In a pot, heat up 2 tbsps of oil with onion, curry leaves and fennel seeds on a moderate heat. Saute until the onion becomes golden brown. 3. Add ginger-garlic paste, garam masala and turmeric powder. Saute until aromatic. Then add 1/3 cup of water and allow the pot mixture to bubble on low heat until the oil begins to separate. 4. Toss in the prawns and quickly, coat them with the spices and saute on low heat for 1 minute. Add more water if the bottom starts to stick. 5. Add coconut milk and let it simmer until boiling point. If you prefer more gravy, you can add more water at this stage. Season with salt and sugar to taste. 6. Garnish with chopped chilli or coriander. Serve while it’s hot! LOVE curries! And i love the use of fennel seeds. Bravo! I too love curry! 🙂 Lovely photos. I am with you Curry is one of my favorite things to make and eat. I also agree you can “curry” just about anything:) I make my own curry spice mixes and paste -better that way. Your recipe sounds so so yummy, thanks for sharing. 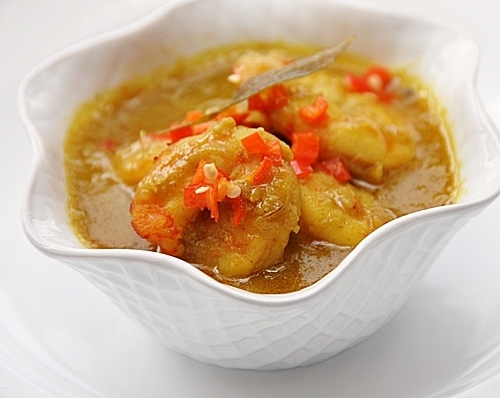 Wow, this prawn curry looks lovely, and bonus points for the use of fennel seeds, I love them! I’m with you on the list : stir-fry, fried rice, and then curry! Great recipe and it looks magnificently good-looking dish! Thanks for dropping by my site. This recipe started off by trial and error and it became my favourite seafood curry recipe. You’ve got to share the recipe of your version, as I’m hunting for good seafood recipes which have been cooked and tested. 😉 This may sound a bit silly but whenever I’m not sure about whether curry is authentic enough, I just add curry leaves. 😛 And thanks for your comment. Seafood and coconut – it is such a heavenly combination. I agree, you can’t go horribly wrong with seafood and coconut! Glad that you like the recipe. I’m a huge seafood lover too and I’m trying to broaden my skills in working with seafood. Good seafood dishes can be a little tricky sometimes. Hi, i tried and its sooooooooooo yummy!Thanks heaps! moncler jacket store,i will look for Moncler down Jackets,cheap Moncler Jackets,Moncler vest sale again. I value your blog article.Thank you. Really Cool. This is fantastic. I’ve just bought some prawns and was looking for some curry inspiration! Thanks for your help. Love the recipie! Take a look at my version! YUM! Thanks for this recipe, I made it tonight as I had a kilo of prawns in the freezer begging me to create something delicious. In hubby’s words, it was ‘scrumptious’! I’m so happy that you like the recipe 🙂 Thanks so much for the wonderful feedback…..